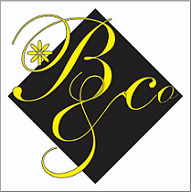 Bharucha & Co. is one of the oldest IP boutique firms in Pakistan founded in 1948 by Mr. Abdur Rehman Bharucha (1909-2001). The firm’s range of services in the IP space include all aspects of patents, trademarks, designs, copyright, domain names, licensing, franchising and litigation and is recognized for giving prompt, expedient, accurate and precise responses which are commercially viable as well. The firm represents major domestic and international clients predominantly from US, Europe and Asia as well as from the Middle East and the Far East in business, industry, trading and profession. The vast majority of its clients are medium and large companies including a handful of Fortune 500 companies. Bharucha & Co. is ranked among the leading law firms in Asia by some of the most prestigious legal referral guides such as The Legal 500 Asia Pacific, Managing Intellectual Property, Chambers Asia Pacific, etc.